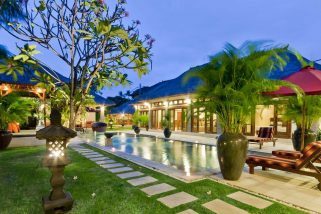 Villa White Pearl is a breathtaking 2 bedroom villa located right in the heart of the ever bubbling Jalan Petitenget area of Seminyak. Its fantastic location means that guests are within proximity of all the cool spots of the island. 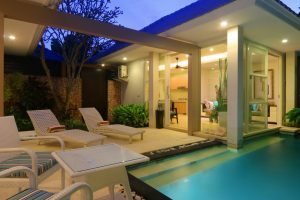 With its two bedrooms, the villa can comfortably accommodate 4 guests. 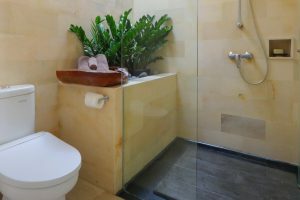 So it is a perfect choice for a family or group of four who want to enjoy their island holiday in comfort, style and elegance. The outdoor areas of Villa White Pearl is simply enchanting. Its pristine white bungalows strike a beautiful contrast with its turquoise colored rectangular pool, while frangipanis, trees and exotic flowers add up to create a truly stunning exterior. 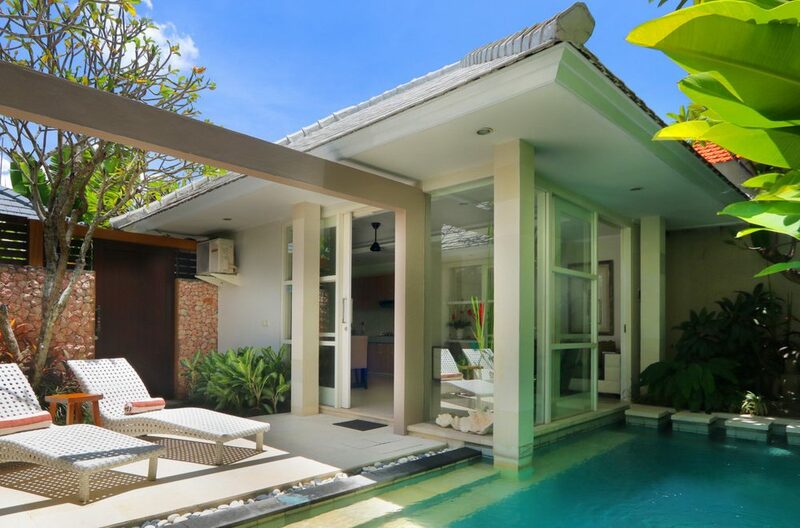 Between the two buildings in the villa is the sundeck where guests can relax on the lounge chairs and enjoy soaking up some sun after a refreshing swim. 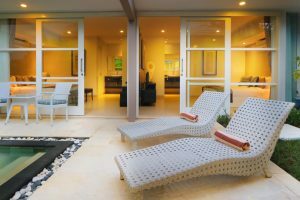 Also, on one end of the pool is a small sitting area which is perfect for breakfasts in the morning or refreshing drinks in the evenings. The living area of Villa White Pearl is located in a white building just beside the pool. In it, there is a comfortable, spacious living room which has a stunning décor. 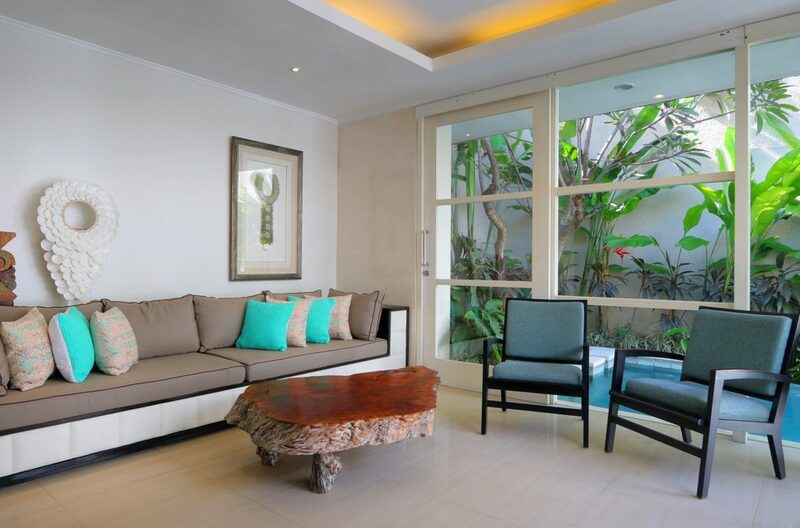 It is furnished with comfortable sofas, easy chairs, stunning works of art and lovely potted plants. 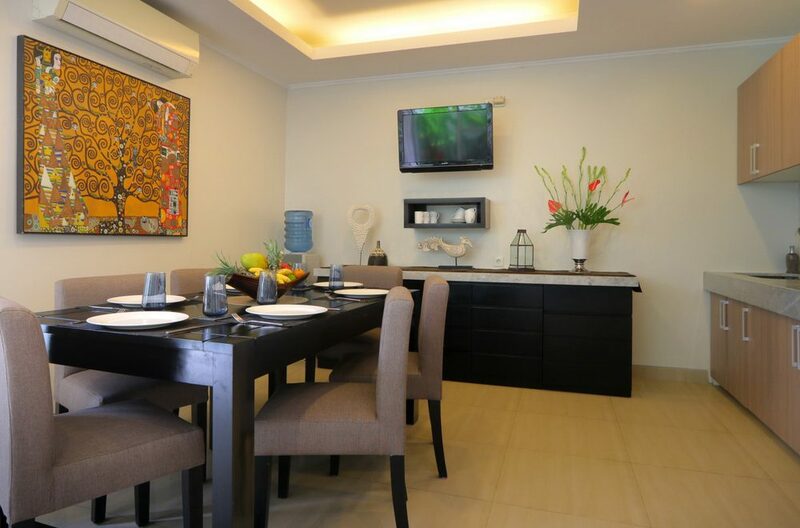 Beside this is the dining area which boasts of a six person dining set. 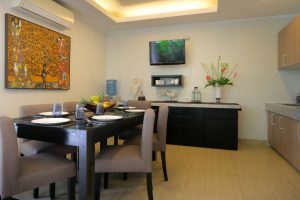 Guests can sit here and feat on the delicacies cooked either by them or the villa chef. 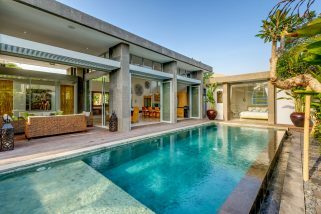 Due to the floor to ceiling glass windows in this building, guests enjoy a panoramic view of the outdoor and pool area right from the comfortable indoors of the villa. 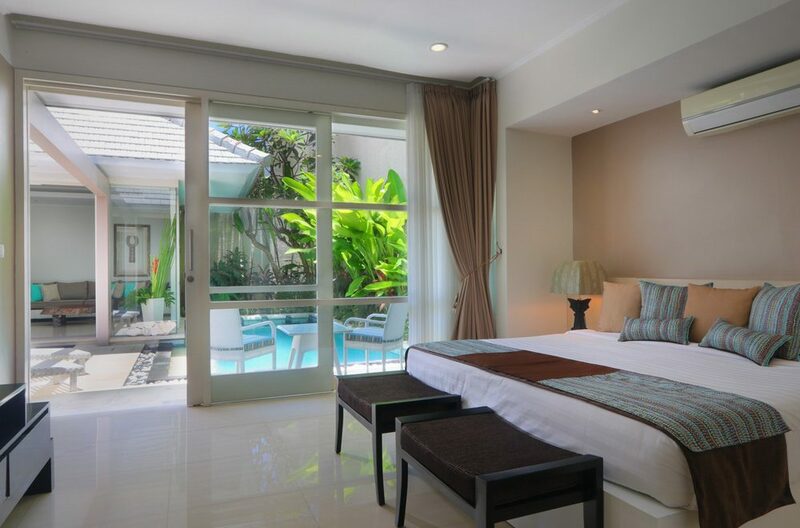 The bedrooms of Villa White Pearl is located in the second building which is also beside the pool. 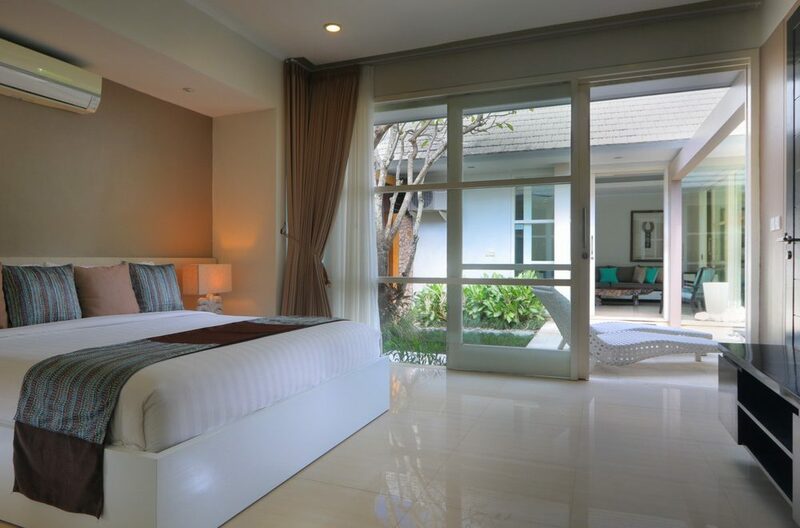 Each bedroom is a stunning masterpiece which is furnished to the highest standards. 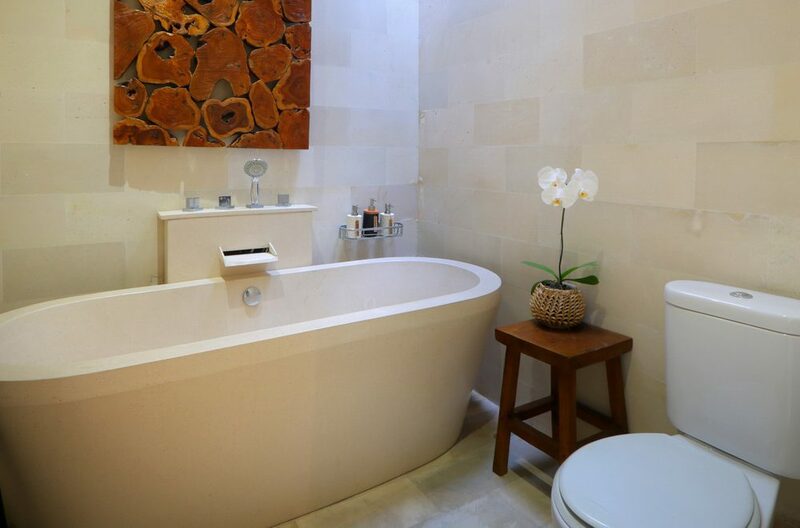 In each one, there is a comfortable king bed, flat screen TV, lovely works of art in every corner, ensuite bathroom which boasts of luxury bathtubs and lovely wooden furniture. Sliding glass doors lead from the bedrooms right out to the sundeck beside the pool. With comfortable bedrooms such as these, guests are guaranteed to get a good night’s rest after an exciting day spent on the island. 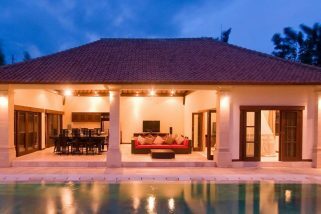 Villa White Pearl has staff which include a villa manager, daily housekeeping, pool and garden attendants. 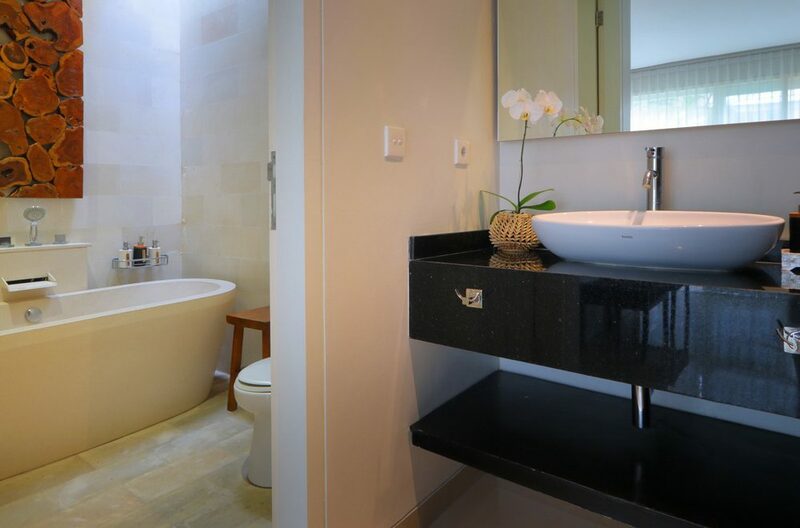 Guests of the villa enjoy complimentary tea and coffee, alongside airport transfers. 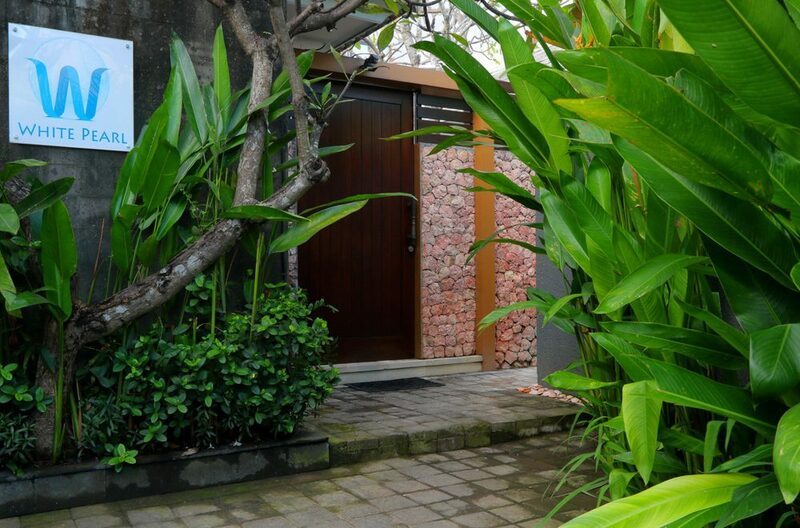 Staff of the villa are on hand to ensure that guests have all they need to have an enjoyable stay at the villa. To view more Seminyak Villas or other Bali Villas please use this website or contact us. 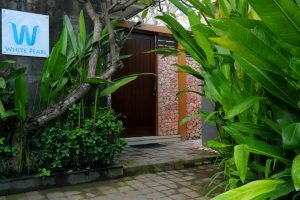 Quietly nestled down Gang Keraton, off Jalan Raya Seminyak is Villa Santi.